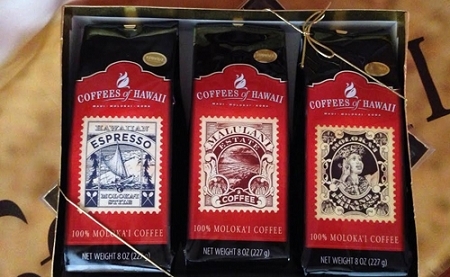 Our Estate gift box presents three half-pound (8oz) bags of our top-sellers from our Kualapuu plantation. 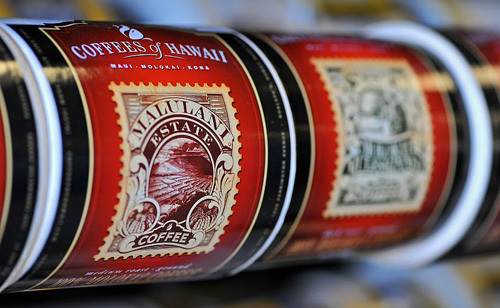 A bag each of our Molokai Island Princess, Malulani Estate, and Hawaiian Espresso Molokai Style. 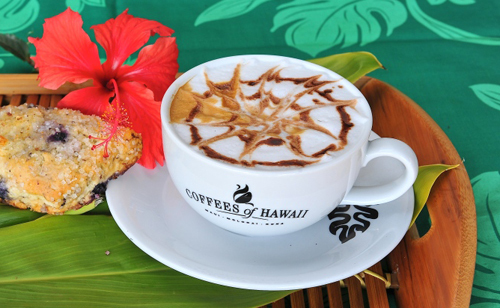 Experience a range of taste characteristics that can only be created from the soils of Molokai from the aina. Want to send gift boxes to multiple addresses? Either place an individual order for each recipient, OR... take advantage of our plantation staff and let them do the hard work for you. - Determine shipping costs to multiple recipient addresses. - Add personalized (handwritten) notes to the boxes you specify. - Finalize all the order details for your review and approval. - Receive and process payment information over the phone, fax, or email. 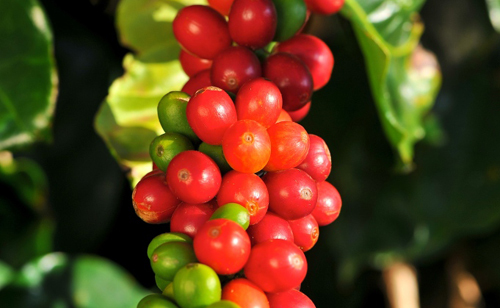 - Roast the beans, pack the box, and ship.